Should I have a Clown for my Kid’s Birthday Party? Kids clowns are a great idea for children’s birthday parties. They’re very popular with kids from ages 4-10. 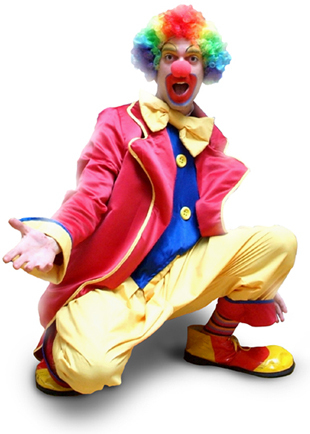 We do loads of them and usually you should expect a children’s clown to offer activities like magic, puppet shows, balloon modelling, juggling, bubbles and loads of general clown silliness to get the kids laughing. Plus prizes for all the kids. Check out this link to kids clowns for more info. Generally we suggest that party clowns are suitable for children from the age of 4 and up. Any younger than this and you usually findthat they get scared. We always say children’s clowns are best if your child has specifically asked for a clown at their party. If you’re not sure about having a kids clown because your children might get scared, then it’s possibly best to go for a children’s clown that doesn’t have the make up, red nose or funny hair. The entertainer could still do the same show but just not have any facial stuff as this is what tends to make clowns scary for them. Young kids still love the clown costume and fun activities that clowns do. Most children’s entertainment companies will be able to accommodate this for you. Should Parents stay or leave at your Kid’s Party? Loads of Mums ask us if they should have the parents stay at parties. Our general rule is if the party is for ages 3 and up then yes they should, as they are still young and kids do obviously need parents to stay with them. If you’re hiring a children’s entertainer it’s a good idea for parents to sit with their kids and watch the show with them too. If children are 4 and up then we always recommend against parents staying at the party unless you have a separate room for them to socialise in. Lots of parents like the idea of having the parents stay for food and doubling up their kid’s party, with a party for the grown ups. It’s great idea in theory but parents should be aware that it can come at the cost of their children’s enjoyment. Why? Because of all the background noise levels created by parents. We have been to loads of parties where parents stay. It can work fine if you have a separate room for the parents to chat in, but if it’s all done in the same room, then due to the background noise made by parents talking, it means more often than not, kids struggle to concentrate on the entertainment provided by your kid’s entertainer. Children often get distracted with other things going on around them and they may decide to run to Mum or Dad at random points during the show, which can then disrupt the other kids from the party too and create a snowball effect in kids losing concentration. If you’ve gone to the trouble of spending money on the hall, the food, the entertainer then you want the kids to be able to enjoy it. The entertainer’s show is often the core of the children’s party but no matter how good a children’s entertainer is, parents staying can really can get in the way of the kids having fun at their party. If it’s a birthday party for the kids then we always suggest it should stay just that – a party for the kids and not for the grown ups. Pirates, knights, fire men, cowboys, space, jungle and super heroes. Popular ones for girls are: Princesses, fairies, jungle, under the sea, witches or chocolate factory. 2) Decide on your date and check you can find a venue for it (that is if you’re not having it at home). 3) Send out the invitations. Once your date is confirmed and the venue is booked you want to get these out asap. See our link for some free party invitations you can download for free. 4) Book your children’s entertainer. Or if you’re not having an entertainer then decide on the activities you’re having to entertainthe kids. a) You might want to get the kids to dress up according to your theme. If so then mention this in your invitations. b) Decorations and party tableware – If you’re taking the trouble to theme your party then it’s a lot more fun to have themed decorations and party tableware. We’ve found a great site for decorations for your children’s themed party. It has a wide range of choice and is a very easy site to navigate. c) Party Food- Another great opportunity to theme your party and show your creative side. There are loads of ideas for themed party. There are plenty of ideas on our blogs but you might like to search through the internet or some party food cook books to get inspiration. Then again if you want to cheat and save time to get someone else to do it you can always try this cake delivery service and have your dream cake delivered straight to your door. 6) Party Bags – after all the work youve already put in to preparing your children’s themed party you’d be forgiven for now worrying about party bags. There are sites that offer themed party bags. But you don’t have to theme everything and if you want to save money then you can really just get away with giving the kids some cake to take home instead. If you’re hiring a children’s entertainer then they should offer prizes and balloon models for the kids to take home so that should be plenty. Or if you want normal party bags you can easily get part bags and items to fil lthem with in all good high street party shops. You can make your party as creative as you want depending on how much time you have. Just remember not to get stressed over making things too complicated. If it gets too complicated kids may not have as much fun than if it were just kept simple. parties. Piñatas are loads of fun and growing more and more popular but if managed incorrectly it can all end in tears. Before you get a piñata make sure you have plenty of space. Kids are going to be swinging around a strong stick to bash it with continuously so you need plenty of room to do this and for the other kids to stand well out of the way of the person swinging the stick as they wait for their turn. Secondly you need a good place to hang the piñata up without too much difficulty. 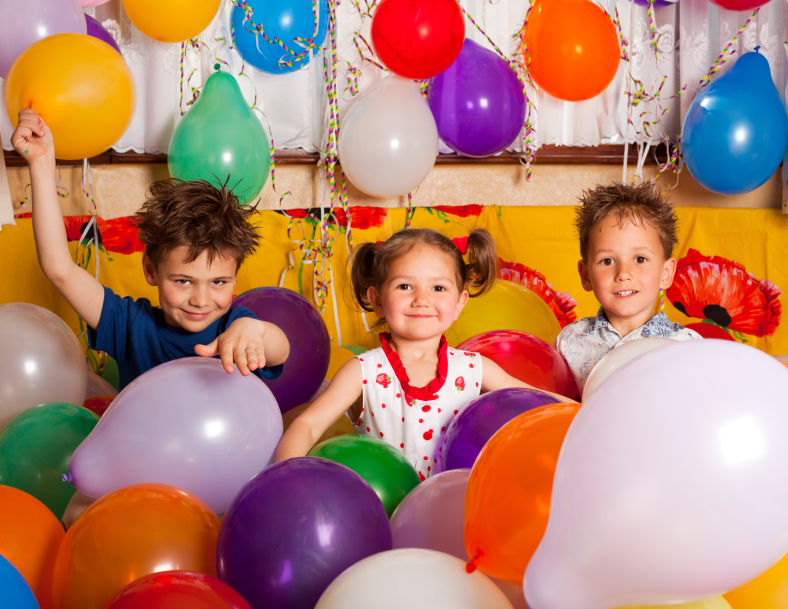 If you’re hiring a hall for your kids party this can be tricky and you might need to consider whether there is anywhere suitable for this before getting a piñata. What you don’t want to end up doing is holding it yourself with a bit of string for the obvious reason being that the piñata might not be the only thing that ends up getting bashed. 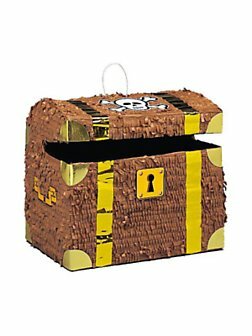 The contents of the piñata can be anything really but small items are best such as sweets or toys. You want to fill it up to allow for at least 1 item per child but we’d recommend 2-3 per child. Be clear to the kids about the rules before they start. Get the kids in a line, tell them that they will take it in turns, one at a time, to bash the piñata using the stick. Tell them how many bashes they get per go. (we suggest 3 per turn). Then they go to the back of the line to have another go. For safety reasons, make sure there is always a big gap between the child in the front of the line and the child who is currently bashing the piñata, so there is no chance of anyone behind them getting hit by the stick. Make sure you have another grown up in charge of this throughout the whole game. Once the piñata is about to burst open, the sweets/ toys you have put in it will all fall out in a pile on the floor and it really can be chaotic if kids are just allowed to race in and grab them. We recommend therefore that just before the piñata bursts open, that the kids are told that a grown up will give out the contents to the kids afterwards and they shouldn’t race to grab the sweets themselves. This way everything can be given out fairly. On average piñata can take anywhere between 15-20 mins for about 20-30 kids. Here’s a great place to get piñatas from. Plus more useful tips on piñatas.